The bow tie's origin story starts in the 1600's and goes a little something like this: King Louis XIV of France was hanging with some mercenary soldiers from the Balkans, and he dug the scarves they wore around their necks as good luck charms against swords to the jugular. So he whipped up his own version and tied it off with a neat bow, thus inventing the cravat (derived from the French for "Croatian"), the bow tie's precursor. 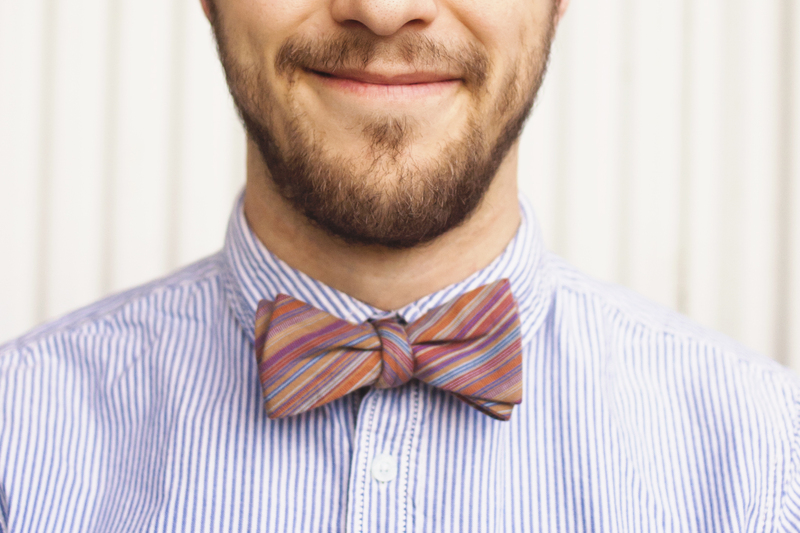 Since the 20th Century, bow ties have occupied a niche in men's fashion. Whereas the standard necktie blends into the suit-jacket look and the no-tie option speaks an informal everyman vibe, unnoticed bow tie is an oxymoron. You wear a bow tie, you stand out. Bow ties befit the wearer. Bow ties shoot for the extremes: the nerd chic of Bill Nye, the suave swagger of Frank Sinatra, the devil-may-care confidence of Winston Churchill. Or a combination of the three, like Indiana Jones at his day job in Indiana Jones and the Last Crusade. (Also, let's not forget that even after Indy ditches the suit and dons the fedora, Indy's dad still sports a bow tie... and after all, he was a James Bond.) Regardless of where you land in the bow tie spectrum, you're going to project an air of authority, if but for the fact that you're displaying your willingness to break from the pack and wear something different. For better or for worse, it's a choice for individuals and iconoclasts. 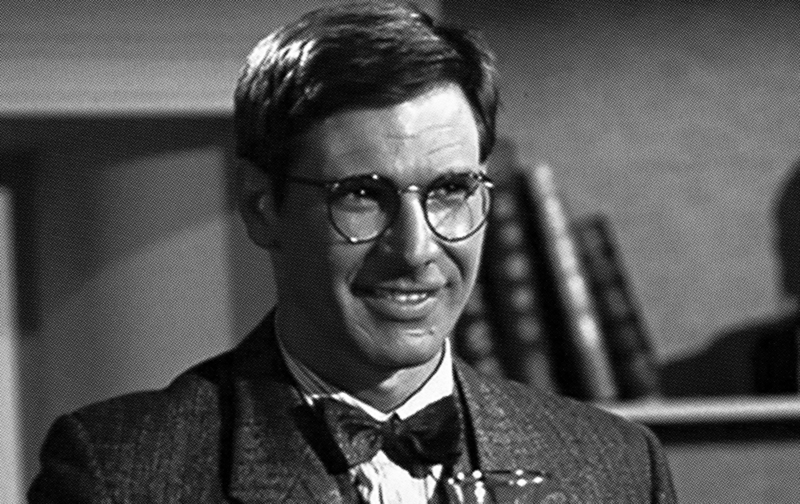 The man who made every kid in the 90's want to be an archaeologist. My personal experience with the bow tie stretches back to the early 2000's, when a doctor from Tennessee attended my church. Whereas most in the congregation approached Sunday morning with a very casual dress code, this guy rocked a bow tie. On at least one occasion he even sported one with a seersucker suit, which you have to understand was a total novelty for a kid who had barely stepped foot in the South. It was quirky and sharp-looking, worlds apart from jeans and a t-shirt. The scale finally tipped once I discovered that one of my favorite artists/writers of all time, Looney Tunes director Chuck Jones, was an avid bow tie wearer. 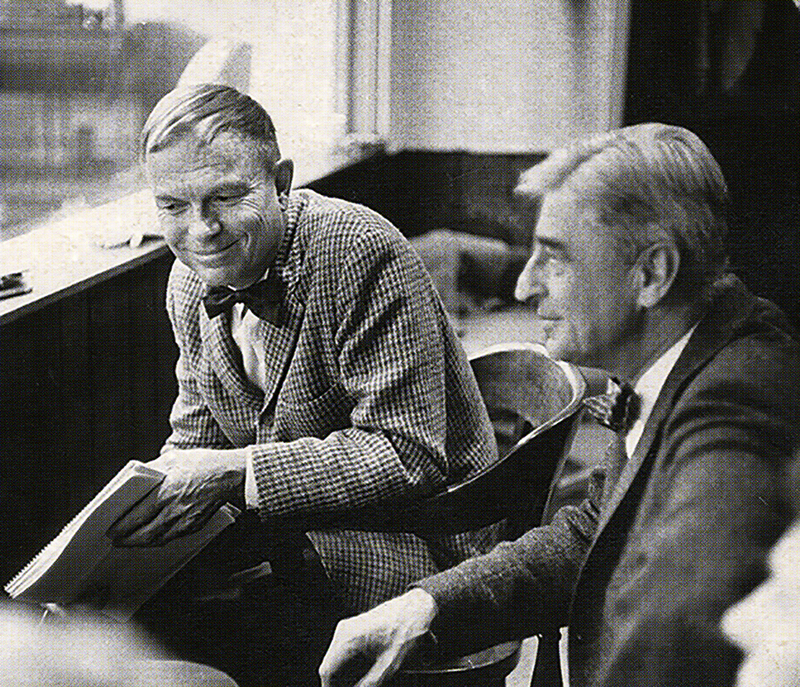 Two bow ties, too much greatness: Chuck Jones (L) and Dr. Seuss (R) consult on the Grinch. Even after the adolescent chapter had firmly snapped shut, killing off the need to get attention by standing out, my bow ties lived on. I've been wearing one every Sunday for the last 10 years. They look crisp and classy, they reflect my slightly catawampus mind, and I'm less likely to spill coffee on them versus on a regular necktie. And every time I see a dude wearing one, I can't help a "That's a sharp bow tie, man" on the sly. 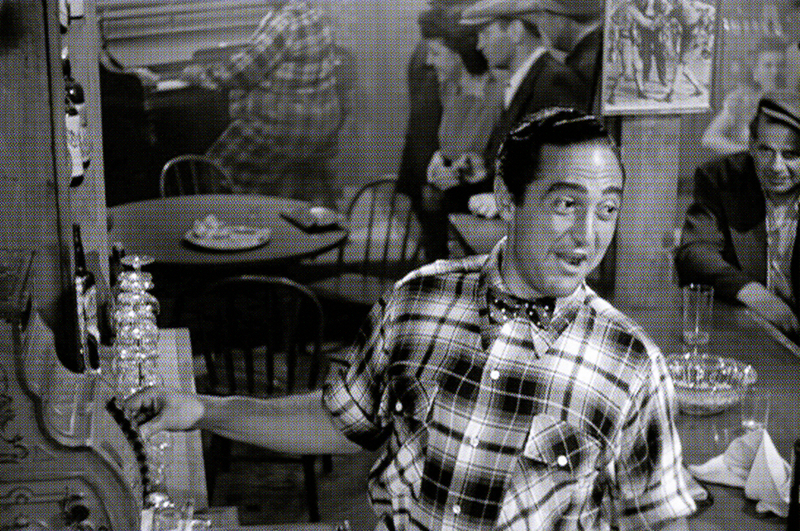 Nick mixes drinks and plaid with polka dots. "Get me! I'm givin' out wings!" Art of Manliness has a great illustrated guide by Ted Slampyak. The learning curve on tying your own bow tie can be a bit steep, so plan to redo it a lot. Just remember: your effort will show. After all, no one passively decides to wear a self-tied bow tie. As the friend of the author of this 1995 Atlantic article on bow ties stated, "A bow tie is like the ideal life. You have to play with it, tweak it, to get it right. Even then, of course, it's always a bit askew. But it should be." It may not be rocket science, but don't try to do it for the first time right before you head out the door, or you will most decidedly be arriving late to your destination. Love this bow tie article and wanted to share but cant find a link.